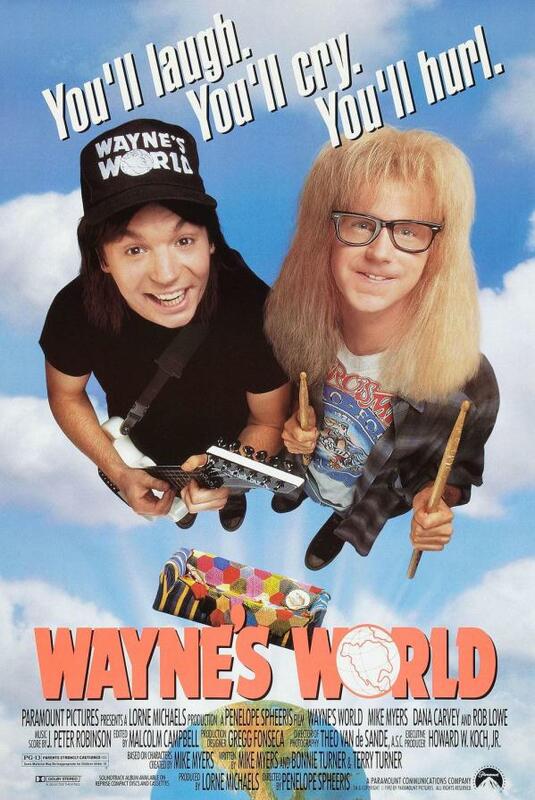 Wayne’s World is a 1992 American comedy film directed by Penelope Spheeris and starring Mike Myers as Wayne Campbell and Dana Carvey as Garth Algar. The film was adapted from a sketch of the same name on NBC’s Saturday Night Live. The font used the film title in the poster is very similar to Dynamo Bold Condensed, a slab serif font designed by K. Sommer in the 1930s. The font family now has four variants, Medium, Bold, Bold Condensed and Bold Shadow. You can view more details about it here. The Dynamo font identified above is not available for free, please follow the link above and purchase the font. Meanwhile, you can take a look at our collection of fonts for cars, pop music and apparel as well as round-ups of new & fresh fonts around the web. In addition to Wayne’s World, Dynamo typeface is also used in the following logos, movie posters or album covers etc., including: The Comeback.